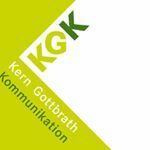 Kern Gottbrath Kommunikation is a public relations and communications agency with special focus on sports, cycling, outdoors and performance textiles. Our clients are high-end brands such as Arc'teryx, Gregory Packs, CRAFT Sports, Eagle Creek, prAna or EXPED in terms of public relations and communication services. We are looking for high quality influencers with the right fit for our brands in Europe.